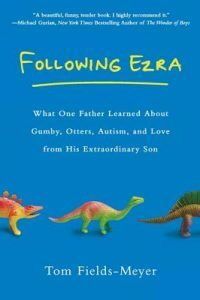 Journalist and author of Following Ezra: What One Father Learned About Gumby, Otters, Autism and Love from His Extraordinary Son (NAL/Penguin), which was a finalist for the National Jewish Book Award. 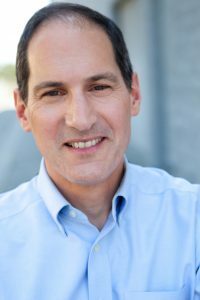 Mr. Fields-Meyer was a senior writer for People and his work has appeared in The New York Times Magazine, the Los Angeles Times, and The Washington Post. In a creativity workshop I once took, I expressed frustration with the daily writing exercise I was supposed to be doing. I wasn’t sure where it was leading me. The teacher explained that getting lost was the whole point. “In a creative process,” she said, “the art emerges from the process.” It sounds so basic, yet I found that both revelatory and radical. Ever since, that insight has informed my writing process and my teaching. Not knowing where you’re going is at once the scariest part of writing, and what makes it so rewarding when you figure it out. I aim to create a safe space in which we can mutually support each other as we engage in the creative process. Along the way, we discover what works for us, and how to turn the truths we carry inside into stories that engage, connect, and move.